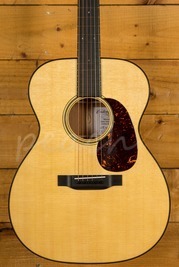 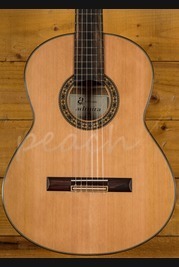 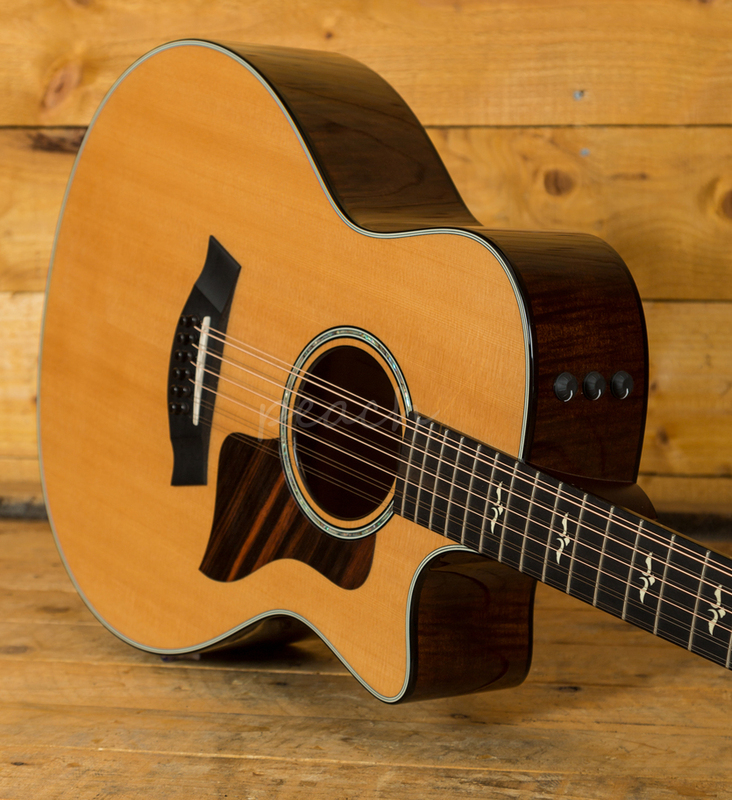 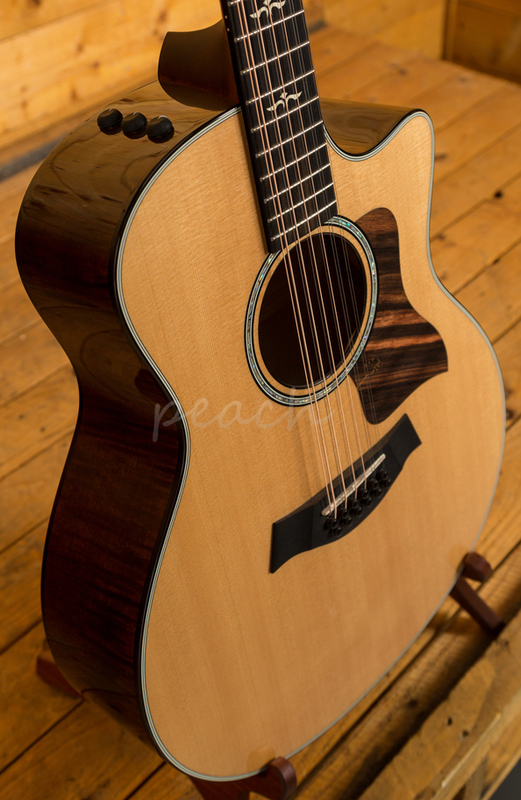 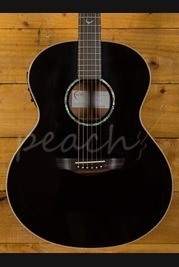 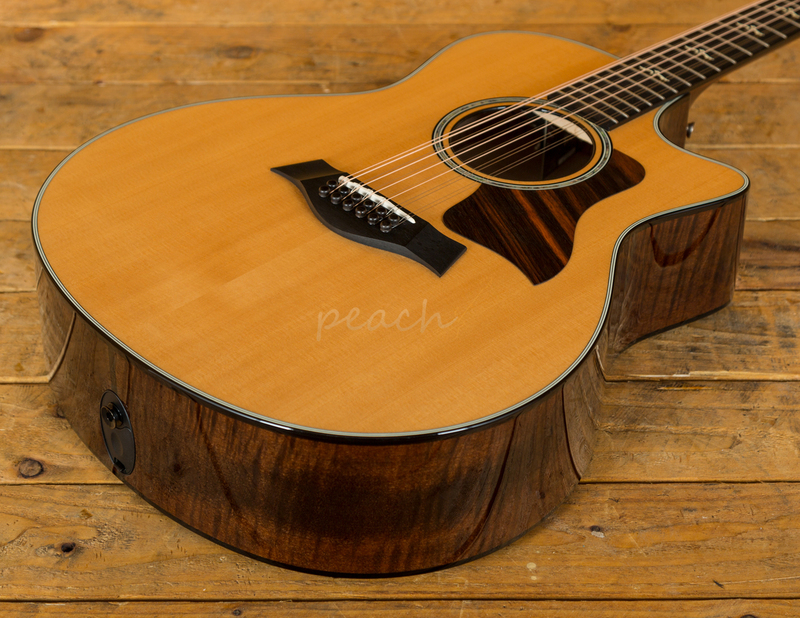 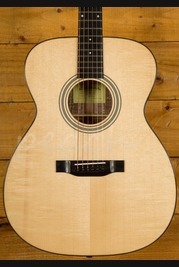 Any 12-string player will appreciate the tonal clarity, balance and playability of our maple 12-string 656ce. 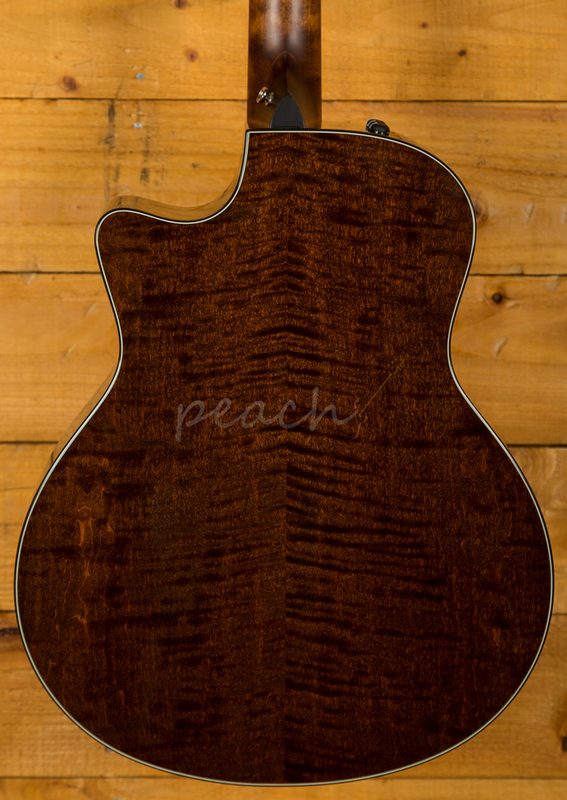 Between Taylor's Grand Symphony body and the maple/spruce wood pairing, you can expect plenty of projection, along with crisp note definition that yields rich double-course shimmer without getting muddy anywhere along the tonal spectrum. 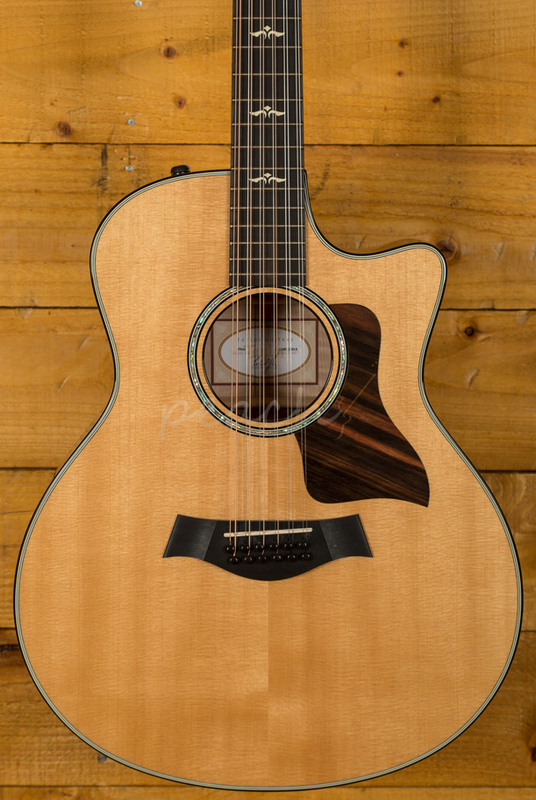 A Venetian cutaway allows easy access up the fretboard, while Taylor's Expression System 2 pickup delivers a superb plug-and-play experience. 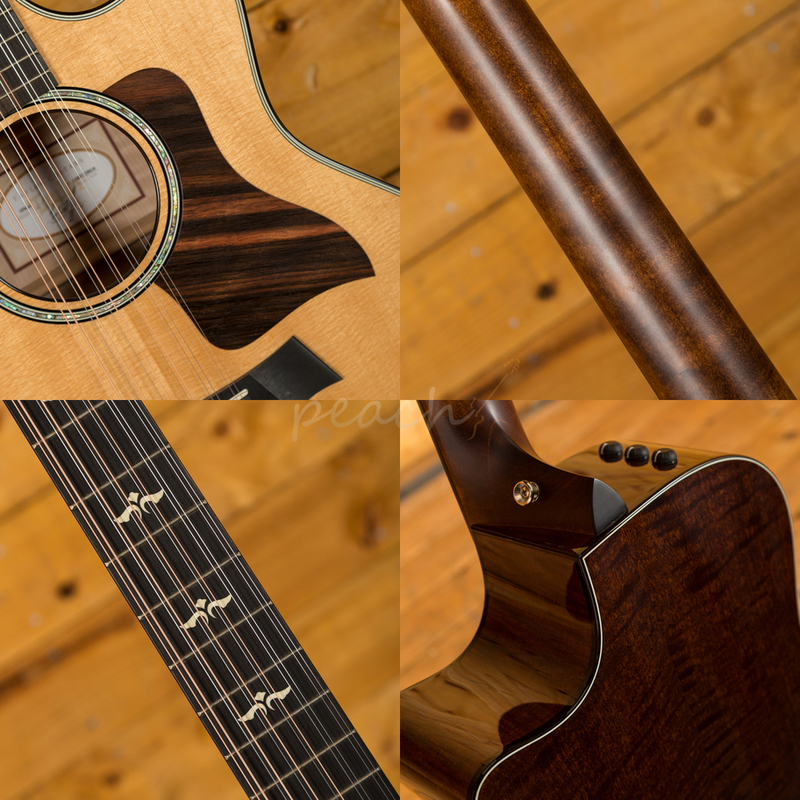 Featured appointments include white binding and our Twisted Ovals fretboard inlay motif, while an array of color and burst options add eye-catching appeal to maple's striking figure.